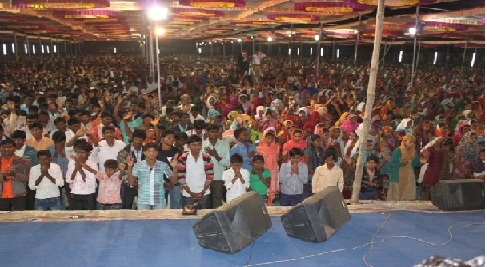 With your help, many are coming to Christ in India. This letter highlights a few of NMM’s ministries and how your partnership is impacting lives. It’s hard to believe that another year has gone by in the life and ministry of NMM, and, as always, we have seen God’s hand at work in everything we do. I’d like to take just a minute of your time to give you a quick snapshot of our 2015 fiscal year and to tell you how much your prayerful participation in our efforts to share Christ with the world has meant to us. “How then shall they call on Him in whom they have not believed? And how shall they hear without a preacher?” This scripture from Romans 10:14 has never been more important than it is today. All of us at NMM thank you for your Godly support, your prayers, and most of all, for your friendship. I hope you are are encouraged as you read through this report of the past year. We want you to know that your story is intertwined in everything you see—every child supported, every prayer done for the church planters, every outreaches—everything. Your support helps make it all happen. Thank you so much for helping us to keep sharing Christ and loving people. From every corner of the NMM mission field in Northern India the reports are coming in. Only a few at first, but now more and more frequently, reinforcing one another with their startling accounts of hundreds, thousands, even tens of thousands coming to faith in Christ, forming into churches and spreading their new-found faith. God is doing something remarkable. Here is a quick run up to what has been happening because of your sacrificial and regular giving and your unceasing prayers. 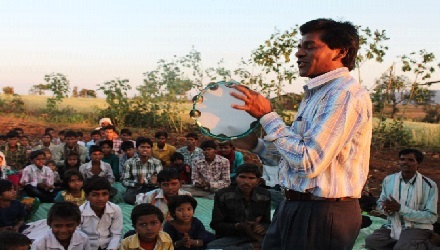 Every year NMM Churches continues to grow with the addition of new churches throughout India. An evangelist/pastor is sent out to a village where the gospel has not been preached and begins to witness to the village people and introduce them to Christ. Small groups form a new congregation which usually gathers in someone’s home. With the help of the local believer, plans are then made to purchase a piece of land to have a church site, material is purchased and a building constructed. The church building becomes not just a meeting place free from nature’s elements, but a permanent monument to the Lord Jesus Christ for all in the village. It also acts as a safe environment for worship. These buildings are used for worship, discipleship, and spreading the Gospel of Jesus Christ. In addition, the building can also serve as a Christian school and parsonage for the pastor and his family. NMM is concerned not only with the spiritual needs of the people of India, but their physical needs as well. Many humanitarian ministries are used to help alleviate the sufferings of the poor and destitute in order to break the poverty cycle while at the same time exposing them to the Word of God. A first class education in a Christ-centered environment is offered from kindergarten through high school. 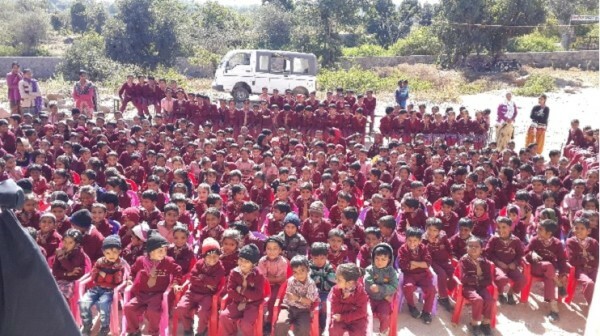 These schools are located in needy locations of the country. Students include not only the orphans on campus, but also children of other faiths. These families bring their children to NMM to educate them, even though they know the children will receive a Christian education. By God’s grace the education being given is at par with any private schools in the country. We fully support and operate 1O children’s homes in Northern India. Approximately 1000 poor and destitute children, including orphans, are cared for in the children’s home. If it were not for the children’s home, hundreds of India’s children would still be living on the streets with no hope of a life free of danger, starvation, and often begging on the streets or slavery. These children are growing in both academic knowledge and the knowledge of the Savior. Besides these children in the homes, children are also being cared in community settings. Engaging them with arts and crafts, they are taught health and moral lessons and also given extra tuitions to help them with their regular schooling. 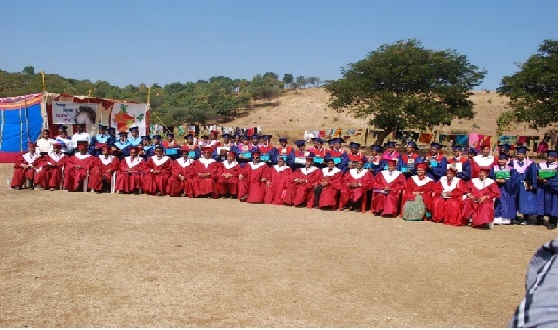 The Bible school’s purpose is to produce graduates who are servant-leaders. Upon graduation, the students become part of Christ’s Great Commission as they go into pioneer locations in India and preach the gospel. Since the students go back into their own native locations, they are able to bear much fruit in a short time of their arrival in these locations. They are able to make a significant impact on their own people as they share the love of Christ. A graduate is able to establish a congregation in the first six months of his presence in the mission field. Our location in north India also enabled us to serve other ministries by training their young men and women. Every year, NMM sponsors and hosts training and inspirational conferences for thousands of pastors and delegates. These national pastors are equipped with the books, tools, and training needed to help them reach the lost in their local areas. NMM provides meals and lodging for attendees who then go out to the villages and share the gospel as well as preach in newly established churches. Grace Hospital was built three years ago with the aim of serving the needy villages. Each year, we reach thousands with free medical care through Grace Hospital. We also provide care through our medical camps and many other lifesaving outreaches across northern India Medical Camps are set up in local villages at least once a month. 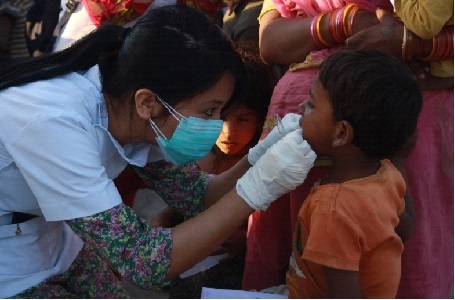 A medical team consisting of doctors, nurses, pharmacist, and helpers provide free first aid and consultation to the poor and needy. Medical staff is able not only to attend to the physical needs of patients, but also to their spiritual needs. 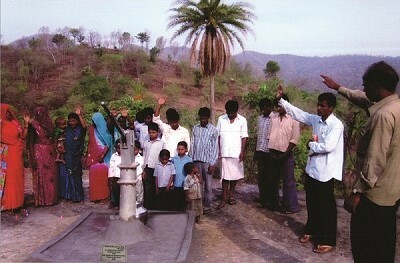 To date, we have dug more than 150 freshwater wells in India changing the quality of lives for entire communities. Most of us take for granted the water which flows freely from our taps. But for many villages in India, this basic life necessity is often in short supply. Village wells may dry up—especially during drought season—and it is not unusual for families to walk several miles just to find water for their household needs. Pastor Pratap is a graduate of our Bible College. He comes from a village called Panwada, near Khargon. After returning from his studies, God used him mightily and in six months he had over 600 believers meeting under a mango tree in the village. But then some persecution happened and he had to leave that place and could not continue the work there. He was in various other locations but he knew that God had called him for this specific place alone. God arranged a miracle and he could return to this place again. Today it is not a big congregation, but God has given him a fresh start and he is working with two other brothers, Brother Karan and Brother Mukesh, both graduates. Together they are ministering in three villages. In one of the village called Sindkhedi, God asked these three men to go and fast and pray. One by one, the sick people of the village started to come and get prayed. One child was also brought who was about 8 years old and had not walked. 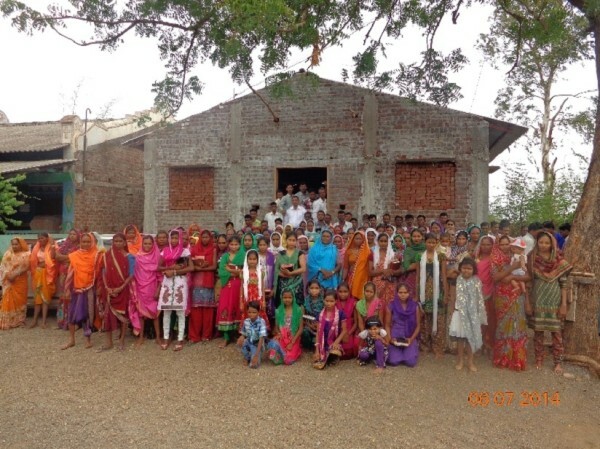 While praying, Pastor Pratap felt that he should declare in faith that she would walk in six days. He said it and God really did a miracle. Within six days, that child began to crawl and is now walking. All glory to Jesus. God has shown him that the ministry would spread so much that people from nearing states would come and join the meetings in Panwada and Sindhkhedi. 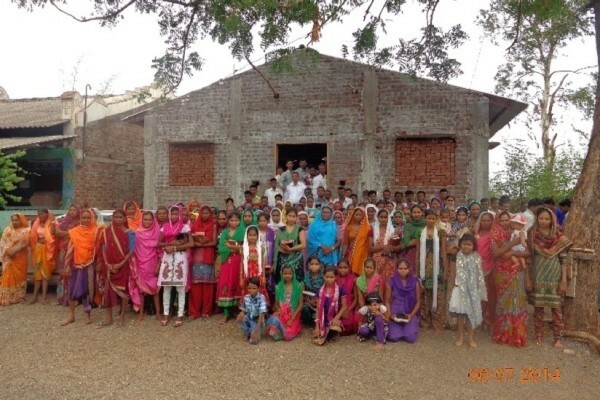 Thank you for helping Pastor Pratap each month. May the Lord bless you and give to you a hundredfold as you enable him to go and preach and bring the good news to the people.